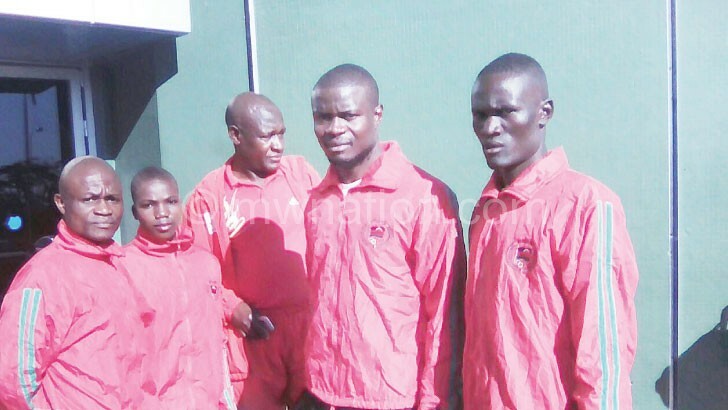 Four Malawian athletes today start competing in the African Senior Athletics Championship in South Africa in what would be the country’s last chance to qualify for Rio Olympics this August and break a 44-year qualification jinx. Happy Ndacha Mcherenje, Mercy Malembo, Benedicto Makumba and Khumbo Makwakwa will compete in the five-day tournament and they carry the country’s hopes of making it to the Olympics for the first time through qualification since Malawi’s inaugural participation in solidarity in Germany in 1972. This comes after a 22-member junior squad failed to make the grade at the Southern Africa Junior Athletics Championship in Lusaka, Zambia last weekend. The junior squad won two silver and three bronze medals ,but their performance was not good enough to meet qualification standards for the global showcase. Cecilia Mhango came close when she won bronze in the 1 500m race, but missed qualification by 24 seconds. The closest Malawi came to Olympics qualification was in 2002 when former national champion Catherine Chikwakwa-Chunda missed it by just a second after completing 5 000m race in 15:31 minutes. “We know it is not easy to qualify for the Olympics, but we are determined to make history this time around. Personally, I have left no stone unturned in a bid to make Malawi proud,” said Malembo, the only female in the Malawi squad for the tournament. But if her current form is anything to go by, then Malembo stands a chance of reaching the promised land. During the National Track and Field Championship in Lilongwe two weeks ago, she finished 5 000m race in 17 minutes, one-and-a-half minutes away from qualifying time. Mcherenje needed just two minutes to meet standard time of 30 minutes during 10 000m race while Makumba and Makwawa fell short of less than a second and three seconds in 100m and 800m races, respectively. Qualifying time in the 100m race is 10.24 seconds and in 800m is 1:46 minutes.